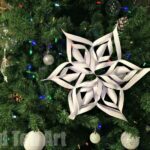 Well.. we have been making Coffee Filter Snowflakes for years.. and each time, I take some quick photos here and there and then forget to share them with you! 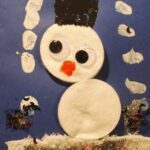 This snowflake preschool craft, is such a timeless classic, that that is probably why, I never get round to editing the Coffee Filter Snowflake photos and sharing them with you. Today, I finally did it! Woohoo! And you will see from the pictures, that some are from last year and some from this year. Well, my kids can’t get enough from making snowflakes, they really love it and come back to it time and time again. 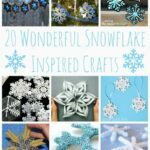 Creating the random snowflake patterns is just so fun and fascinating and great for developing your child’s cutting skills! 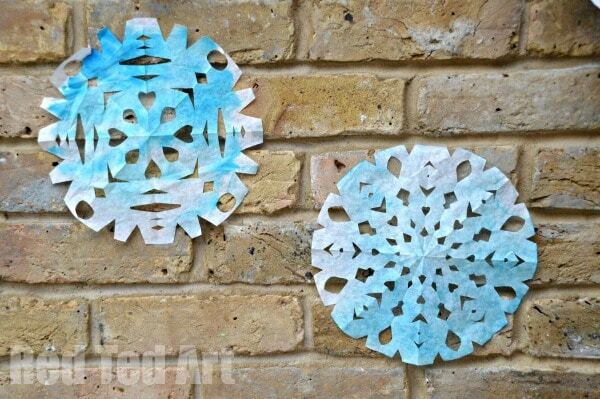 You can make these snowflakes in plain white (great, for when you have less time) or colour your coffee filters first. My kids LOVE to colour them.. but of course, in means you need to wait for them to dry first, so it is totally your call. We have two ways that we like to colour our coffee filters.. you can either use pens and water. But you will have to experiment and see which pens work better – some are more water soluble than others. So it is time for experimenting! Draw on your snowflakes some random patterns and the squirt squirt squirt with water and see the colours run. 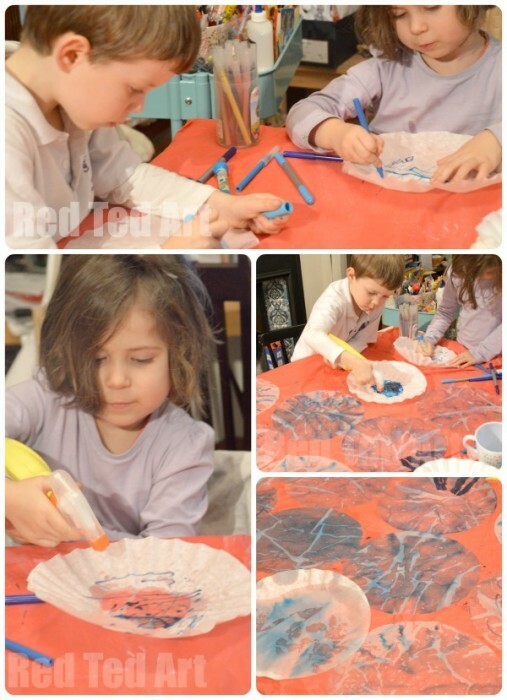 Let dry (either lie flat on a waterproof surface or hang to dry). This video shows you how to use food dyes and pipettes. 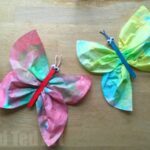 It is a great way to explore colour theory too and my kids ADORE this technique! 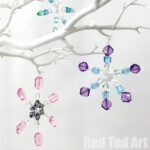 Make lots of colourful snowflakes to brighten up the grey indoors! 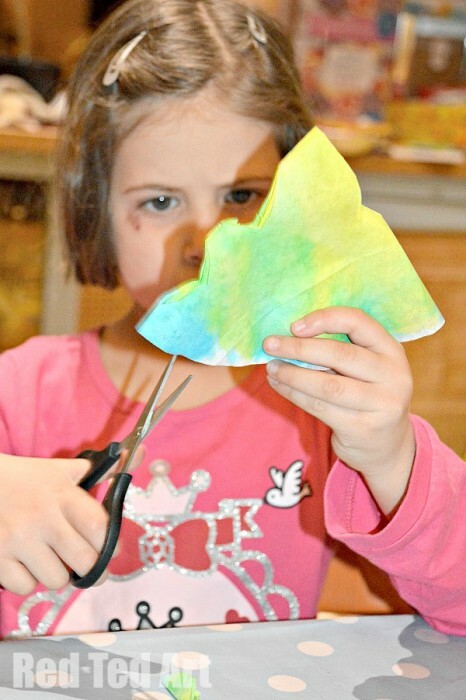 A year later… (I told you), we have Pip Squeak cutting out some multi coloured Coffee Filter Snowflakes. Lovely indeed! You simply fold your coffee filter i half and then half again and start cutting. You can be “sophisticated” and fold it into thirds if you wish, but anyway you fold will result in interesting snowflake patterns! 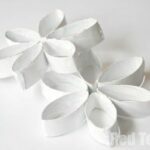 And if you are heading into Spring.. check out our cute Coffee Filter Butterflies! 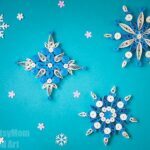 Hope you liked our simple Snowflake Preschooler Craft! !